The Justice Suleman Ambrusa-led three-man Edo State Election Petitions panel hearing the petition of the candidate of the Peoples Democratic Party (PDP) in the July 14, 2012 governorship election, Major General Charles Airhiavbere (retd), against the declaration of Governor Adams Oshiomhole as winner, has been reportedly dissolved. Other members of the panel, which news of its dissolution came on Sunday, two days to the commencement of hearing on the remaining aspect of the petition scheduled for tomorrow, following the end of pre-hearing proceedings two weeks ago, were Justices Esor Teetito and Danlami Senchi. It was gathered that the dissolution came on the heels a petition by some lawyers, acting for Airhiavbere, to the National Judicial Commission (NJC), alleging that the panel had been compromised and had, therefore, lost confidence in it. Consequently, a new panel, which would continue from where the dissolved panel stopped, was said to have been constituted. Names of members of the new panel were yet to be known. The tribunal had, on Tuesday, October 9, rejected the request of Airhiavbere to allow him to file for additional witnesses and statements in pursuance of his petition challenging the declaration of Governor Oshiomhole as winner of the election. Besides, the tribunal also refused the request of Governor Oshiomhole of the Action Congress of Nigeria (ACN) to strike out Airhiavbere’s petition in its entirety. Justice Ambrusa had fixed tomorrow as date for the beginning of the hearing on the only surviving ground of the petition, the aspect dealing with the allegation that the election was marred by corruption practices and did not comply with the provisions of the Electoral Act. Justice Ambrusa had said the tribunal was unable to grant the plea for more witnesses and some statements as requested by the petitioner because those paragraphs of the petition had to do with the issue of the qualification of Governor Oshiomhole which the tribunal struck out on 27 September, 2012. The tribunal also ordered the Independent National Electoral Commission (INEC) to ensure that the voters register was made available to the counsel to the petitioner as requested in order to have uninterrupted hearing on the matter from October 23. However, while opposing the request for extension of time by two weeks made by Airhiavbere’s counsel, Sunny Aguinede, earlier in the hearing, Oshiomhole’s, Chief Adeniyi Akintola (SAN), said “Thepetitioner has no reason to delay the hearing no matter the carcass still remaining in the petition. 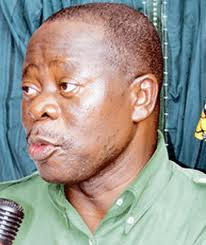 There are 192 wards in Edo state, all the wards which they alluded to as missing are 47 which is not up to one-quarter. They should have subpoenaed INEC to get the original of the voters list rather than chasing shadows”. Counsel to the Action Congress of Nigeria (ACN), Adetunji Oyeyipo, said “The petitioner is not serious. If you look at what ever that is left in this petition, they have witness deposition in only five Local Government Councils and this witness depositions cover only 51 units across these 5 Local Governments, so their complaints covers only less than one percent of the total units. “We are all seasoned lawyers, I don’t know if it will take the petitioner two weeks to prepare witnesses in respect of 51 units. Total of 32 witnesses available for them and some may not even come. I think that the tribunal will be over indulging the petitioners by giving them the two weeks. We think that they should concentrate on the Local Governments they are complaining about so that we can commence hearing”.